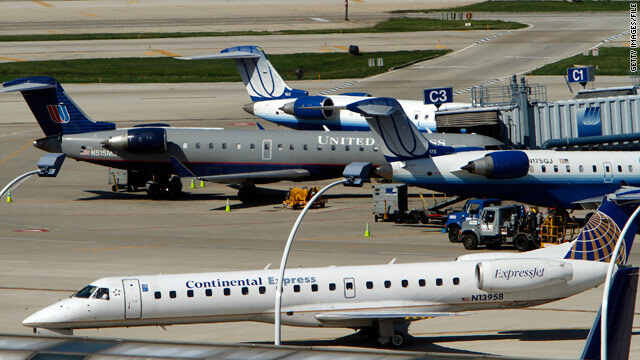 The five largest U.S. commercial airlines, plus AirTran, are adding surcharges for summer travel. (CNN) -- Summer vacation just got more expensive, as the five largest U.S. airlines introduced "peak air travel surcharges" virtually every day while school is out for much of the country. "I think it was to be expected," said Gabe Saglie, senior editor at Travelzoo.com. "I think the airline industry, for months now, has been looking at summer 2010 as the light at the end of the tunnel, counting on people finally loosening the belt a little bit ... after a good year and a half of belt-tightening or curtailing or even eliminating vacationing." Even discount airline AirTran is getting in on the act, though its surcharge is a flat $10 and applies to only 25 days in that date range, according to data published by Farecompare.com. Other discount airlines have resisted the trend. The surcharge is figured into the final price that travelers are quoted, not listed separately like the notorious baggage fees that have become common across most of the commercial airline industry. "It's part of what I consider to be rather clever marketing," Saglie said. "Pushing a very low fare is one thing, [but] by the time you've paid for your ticket and arrived at your destination, it's a very different picture. "Between point A and point B, you're checking bags at a fee, you're buying sodas at a fee, you're getting an aisle seat vs. a middle seat at a fee, and so the surcharge is just joining this family of fees that airlines are using to supplement these fares that are lower than they've been in a long time," he said. Airlines benefit from raising prices via surcharges because one filing changes thousands of airfares, which means they don't have to pay the filing fees for raising each route's fare individually, Farecompare CEO Rick Seaney wrote on his blog. • Book early to take advantage of advance-booking discounts and to get the best fare dates. • Be flexible with travel dates. "That gives you the flexibility to look at some of these dates that may have lower fares. We tend to see some of the Fridays and Saturdays being the peak days when people are leaving for their vacations," so earlier in the week is often better for prime tourist destinations, she said. Fees on Tuesday and Wednesday are going to be less than on Sunday or Friday, Saglie said. • Book your airfare and hotel as a package. "You're almost always going to save on the total when you book those together as a package rather than booking your airfare and then booking your hotel separately," Tornatore said. The hotels and airlines like to unload excess inventory as a bundled package to avoid showing low prices for either, she said. • Try to avoid extra fees, such as for baggage. "If you can pack it into a carry-on bag and check less baggage, you'll avoid those fees that are on top of the increased airfare," Tornatore said. "The airlines have been moving in the direction of a la carte pricing for some time, and it's not likely to stop," said Genevieve Shaw Brown, senior editor at Travelocity. "Travelers need to concentrate on hotels to get value on their vacations." Average daily rates at domestic hotels are slightly lower than in summer 2009 and 14 percent lower than in 2008, Brown said. Saglie avoided criticizing the airline industry for finding new ways to charge higher fares. "It certainly talks to the fact that consumers need to be more aware," he said. "It's more of a fend-for-yourself approach to travel that we're seeing these days, where the more informed and aware the consumer is, the more money they stand to save when they travel."